Finished size of 59" x 69" Fussy Cut Fantasy is a fun and easy quilt. 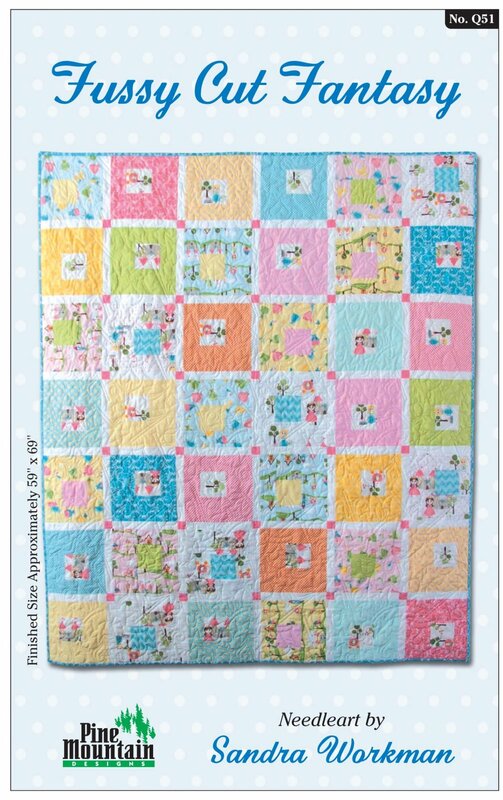 Fussy cut centers showcase charming fabrics. Pattern also includes the large Princess Carriage accent pillow.